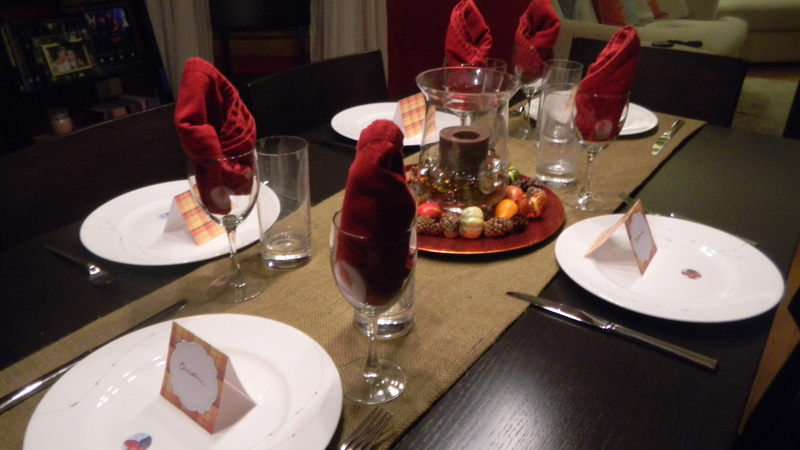 For a while now, I’ve wanted to have a big Thanksgiving celebration with friends. We’re always too busy with family obligations to see a lot of each other during the holiday season, starting with Thanksgiving. My friends andIi are trying to start a new thing where we’ll get together once a month, with one of us hosting the whole group. We do different little party themes. It’s a fun way to be sure to see everyone, and it is a lot cheaper than a night out. This month, it was my turn to host everyone. My friend mentioned that it would be a couple weeks to Thanksgiving, and we should make this gathering the Friendsgiving we’ve always wanted. I happily obliged. 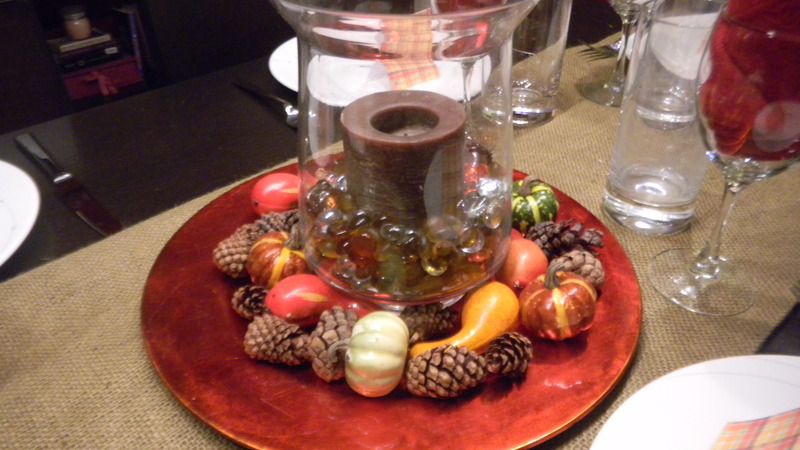 I set the table with a natural autumn theme. I used burlap, gourds, and pine cones. I broke out the china and gave everyone a special place card to show them where to sit. 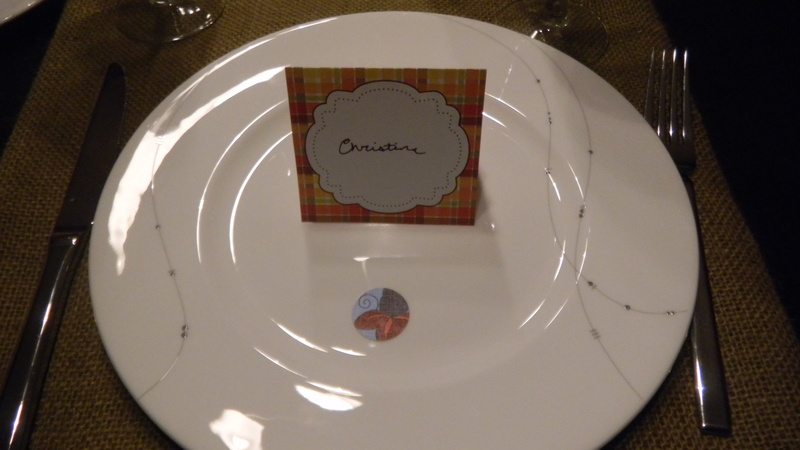 That paper dot you see on the plate is part of a special Thanksgiving project I’ll share with you in my next post. Everyone came, we ate, we drank, and we were merry. Dinner was simple, since it was on a week day evening. I made some fettuccine alfredo and served it with a side Cesar salad. Not quite a whole big Thanksgiving feast, but, I’ll work up to that. 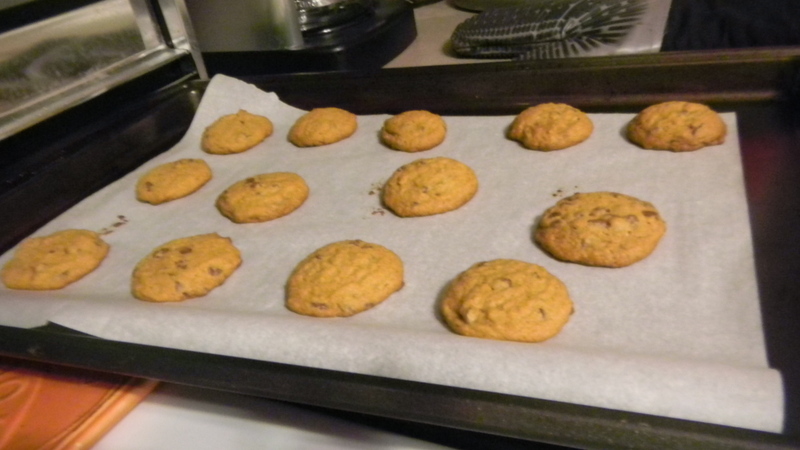 I did make delicious cookies and I thought I’d let you in on the simple recipe and the secret ingredient (it’s pudding). Combine the flour and pudding mix (don’t make the pudding) into a bowl. Beat the butter, brown sugar, and baking soda with a mixer until combined. Add in the egg and egg white and keep mixing. Add the flour/pudding mixture a little at a time and keep mixing. Once the mixture is well combined, add in the chocolate chips and stir by hand with a spoon. 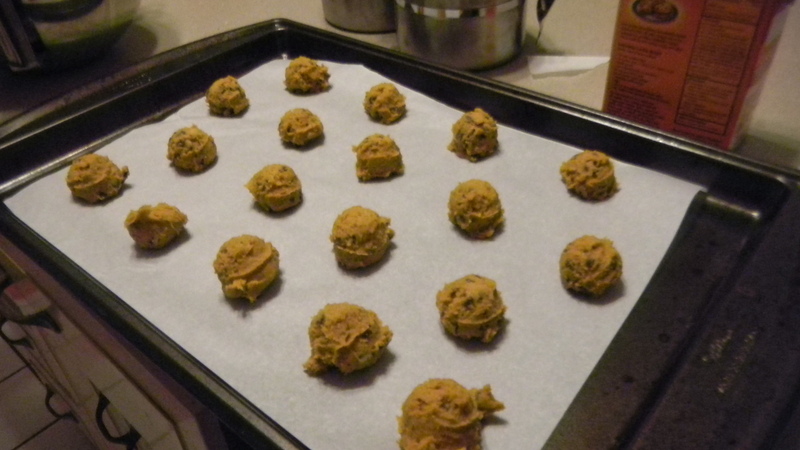 Spoon teaspoon sized balls of the dough onto a cookie sheet. I use this little gadget, which is an immense help. Bake for about 11 minutes, until the edges are just a little brown. 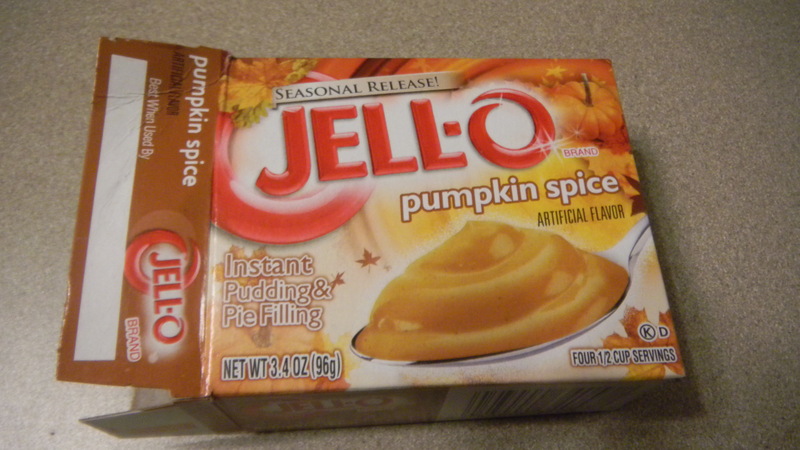 They taste like a little burst of chocolate and pumpkin. Yum. Thanks, Liz. You know I’m always happy to host!